Once again Ramadan has graced our world, offering a very much-needed respite from an atmosphere of constant war, conflict and a persistent hate culture. With its sweet, comforting and peaceful embrace, no matter where it is celebrated around the world, Ramadan’s relaxing serenity helps anyone it touches, be they a Muslim or not. When the month of Ramadan arrives, the exhaustion and tension of the past eleven months is washed away and replaced by an enveloping sense of calm, a return to the old world where elderly is shown respect, children compassion, where selflessness, love and friendship reign. Our world constantly changes but Ramadan remains a reassuring constant, a time that is sure to be peaceful and happy no matter what difficulties might have preceded it. 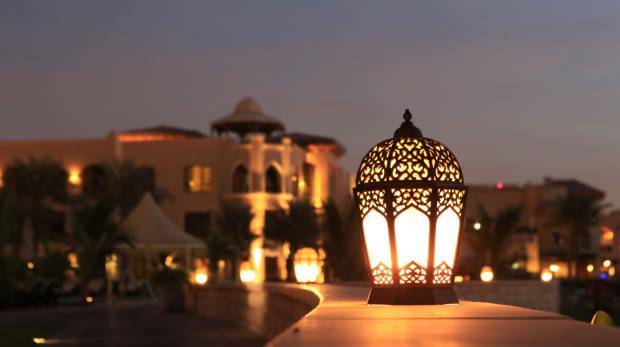 With its suhoor’s and iftar’s, in addition to the traditions that vary from one country to another, Ramadan brings life to people, to businesses, to the streets and offers light to an otherwise pessimistic world. Ramadan starts in the ninth month of the Muslim year, and adult Muslims that are in good health are obligated to observe it through fasting. The fasting starts with the first suhoor, which is the last meal Muslims can eat before sunrise. One shouldn’t think it difficult to get up in the night and eat, because once a person tastes the pleasure of eating suhoor, especially in good company or waking up to the nice smells of suhoor prepared by a fastidious mother, favoring sleep over suhoor is not even an option. Most people prefer to eat lightly, like breakfast or rice and homemade fruit juice. In most cases, children beg until their parents yield and wake them up too for the suhoor feast. And before the sun begins to rise, Muslims swallow the last of their bites and begin their day of spiritual and physical fasting. We Have Been HACKED!!!!!!! & URGENTLY need to update our Servers and hosting – Support our free journalism with our one-off donation. Support our journalism, no limits and no barriers. We are committed to providing the best service to all our readers. Don’t let the propaganda win. A little help from you can keep our dream real! We need £15,000 per month to keep our work going.